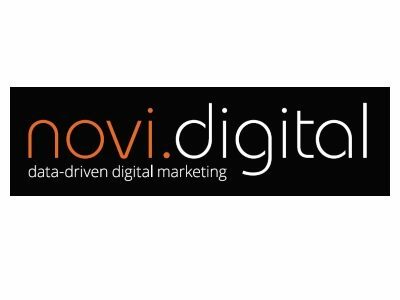 novi.digital – reinventing the award-winning SEO 24/7. Founded in 2009, SEO 24/7 has become a leader in its field and with awards and award shortlistings to prove it. Now is the time to signify this change. Just as we believe digital is evolutionary, so is our company. novi.digital believe that data holds the key to achieving success with anything digital and unlike many other marketplaces, we have more easily accessible data right at our fingertips. It is knowing how to use this data, not just possessing it, that makes us different. SEO 24/7 has just had its most successful year, in turnover growth, employee growth, process changes, training and client satisfaction. Many may think that this is no cause for change, but we do. We want to ensure that all of the aforementioned aspects of our company continue to improve. Our focus is to “boost” the Lancashire region by helping businesses to maximise their digital marketing presence and ensuring that they make the best use of their digital assets, whether this is their mailing list, their website or their social media presence. Conduct your research using the tools available online, Google Keyword Planner, Google Trends and Google Analytics are 3 tools that you cannot afford to live without. In close proximity to the Lake District, Yorkshire Dales, Cheshire and Manchester; Lancashire is in an optimal location for easy access to all of these locations. With direct connections via train to Leeds, London, Manchester, Glasgow and Edinburgh, this makes Lancashire accessible from people across the UK. Not only do we strongly believe that Boost can make a difference to businesses throughout Lancashire, their proven track record echoes this. During the several years that our company has traded so far, there have been many occasions that our clients have spoken highly of Boost.